Home Dead Lock Repair & Rekey! Emergency Services! Rely on our company to provide lock and key repair and replacement services of the highest quality. From rekeying office door locksets to providing a new transponder key, we do everything for our customers in Texas . Every job is completed to perfection. 24/7 locksmith services / Lock repair, rekeying and installation! Attractive rates! 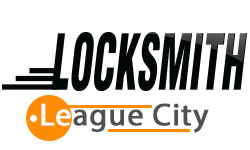 Households, businesses and car drivers use our professional services with confidence because we, at “Locksmith League City”, implement the best solutions in the shortest time. We are experts in locks and keys of all types, brands and ages. Our service range includes everything that a property owner may require from lock repair to safe installation. When you need emergency assistance or plan to improve the security of your property, our team is the right one for the job. By combining expert knowledge and dexterity, we deliver the perfect result every time. Share with us what is wrong and we will come and resolve the problem completely on the spot. This is the philosophy of our emergency service. We never waste time and we always come fully prepared for the job. That is why our company is recognized as one of the most dependable in Texas. It takes just a quick phone call to reach us. From then on, you simply need to stay calm. We will come to the rescue and take care of everything for you. Our emergency solutions go beyond house, office and car lockout opening, even though we are experts in this field. In fact, this is a job that we do with the speed of light. At the same time, extra care is taken to ensure that the condition of the lock is not affected in any way. The professionally trained technicians on our team use a full arsenal of repair techniques so even the most complex problem is effectively overcome. The highest level of precision is achieved every time thanks to the advanced tools that we use. Whether there is a need for broken key extraction or lock rekey, we will do the job flawlessly in no time. The locking device will work perfectly and provide the required level of security. We always leave only after confirming that everything is fine. This is done through rigorous testing. One of the things that we do best is to improve the security of houses, offices and vehicles. In case of lost or broken keys, we provide a timely lock replacement service. You will receive full consultation from our specialists. This will enable you to choose the best new device for your property. It is our job to give you all the information which you need for making the best decision plus practical advice. Even the most complicated replacement job is completed swiftly by our specialists. We are extremely meticulous in our work. It is a common misconception that keys are not as important as locks. Quite the opposite, their condition plays a major role in property security. That is why our locksmith company in League City has a vast array of solutions for these items. We fix traditional keys to make them perfectly straight and optimally functioning once again. Our knowledge extends to the most advanced transponder keys as well. The electronic components are masterfully fixed by our specialists for perfect performance at all times. Our company has long traditions and experience in key cutting. Only the most advanced and reliable equipment is used for the job. We achieve absolute perfection from the tip to the bow. With the perfect key, every lock works smoothly without giving you any kind of a hassle. Turn to us without hesitation any time when you require professional locksmith help and we will ensure that only the best local specialists will work for you. You can expect nothing but the perfect result. Stop worrying about lock and key issues and hire us to resolve them. 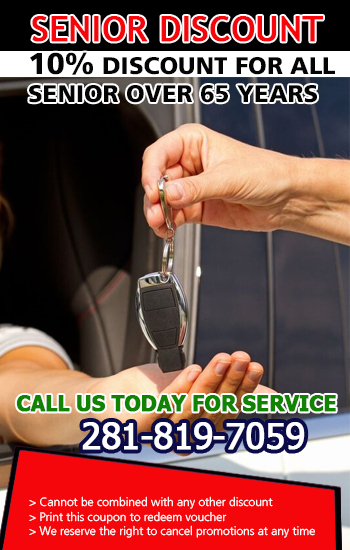 Our locksmith company in Texas offers the best repair, replacement and rekey services on an urgent and scheduled basis. Everyone in the area with zip code 77573 can count on us.